In a sauce pan, combine shoyu, mirin, water and hiziki. Cover, bring to a boil, then reduce heat and simmer until hiziki is tender, about 10 minutes. While the hiziki is cooking, boil the potatoes in salted water to cover until tender but still firm, about 10 minutes. Drain and set aside to cool in a large bowl. Drain hiziki and coarsely chop. Combine hiziki, red peppers, celery and onions with the potatoes. Pour on the horseradish dressing and toss to coat. Serve warm or room temperature. 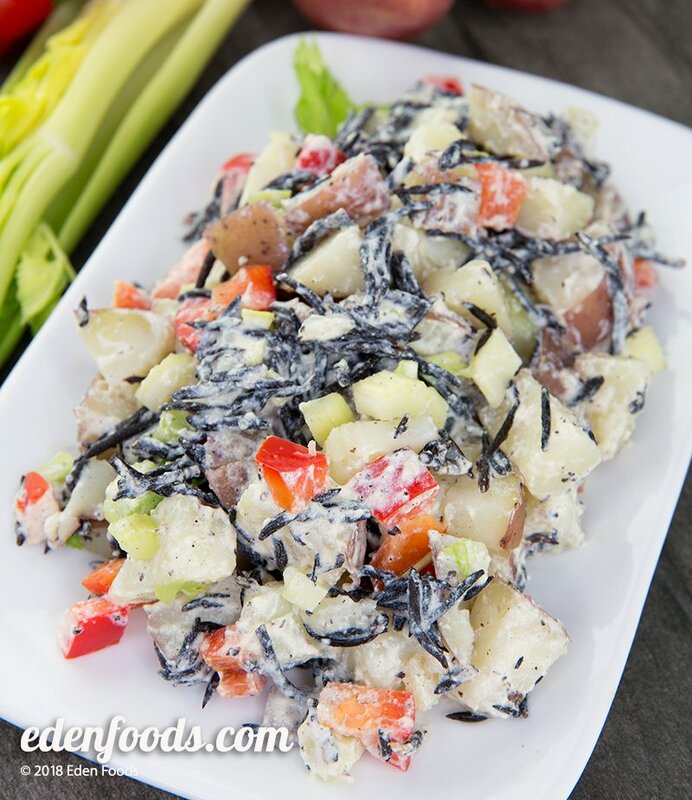 NOTE: Eden Arame sea vegetable may be substituted for Eden Hiziki, if desired.